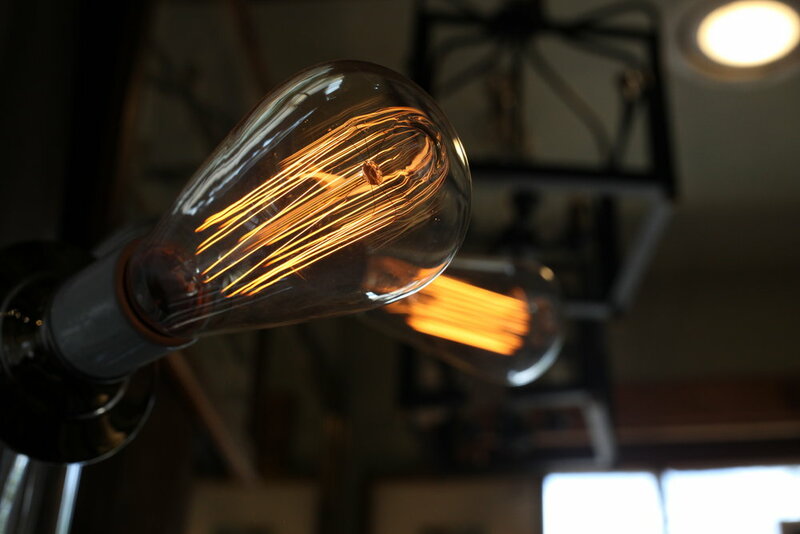 Whether you’re looking for the finishing touch to add warmth to a cozy living room or need a little extra illumination to help with your everyday tasks, we can work with you to create a custom lighting solution to your home’s unique needs. We specialize in lamp repair and rewiring. Bring us your prized heirlooms and estate sale finds and let us restore them to their former glory. Also, not to brag, but we can turn virtually anything into a lamp or light fixture. If you’re looking to update an existing lamp’s look, we have a large selection of lampshades in store. Special orders and custom lampshades are also available on request. Come stop by the showroom for a little inspiration. If you’re not sure what you’re looking for, please just ask.